Doors open at 7:30pm, presale tickets now available at BooBoo Records and ticketfly.com. Tix will be available for purchase at the doors night of the show if not sold out in advance. Considered by many as one of the top guitarists in the Spain, Diego “Twanguero” Garcia has relocated to Los Angeles. Dubbed the “Fire Breathing Guitarist” his music is an intriguing mix of Flamenco/rock/blues/surf music and his “Latin Twang” style, his signature style, for which is in known all over the world. He is currently celebrating the release of his new cd, “Electric Sunset”. 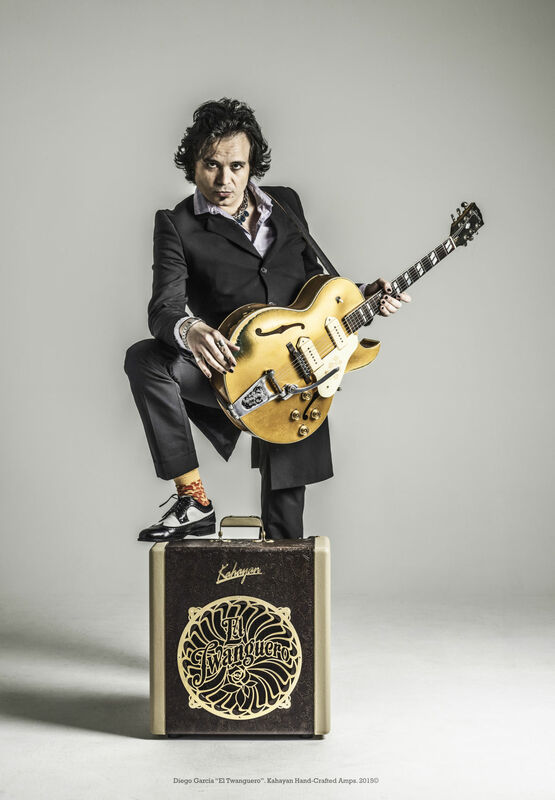 Twanguero is a two-time Latin Grammy winner, A Goya Award Winner and the 2018 winner of the Spanish Independent Music Award for Best Album.